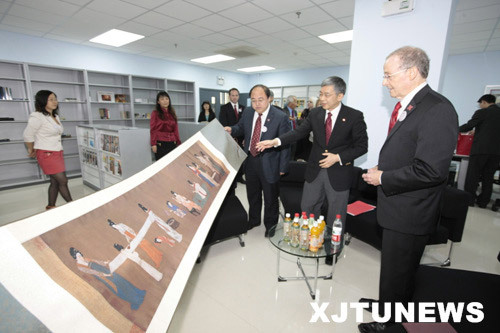 The American Exchange Center (AEC) is an NU-wide initiative, in cooperation with Xi’an Jiaotong University, that aims to introduce Chinese students and faculty to United States history, law, medicine, art, culture and government. It is also designed to strengthen Nebraska’s collaboration with China. The exchange center is one component of NU’s overall global engagement strategy to build relationships with key nations that will benefit Nebraska and the world. Only 10 such centers won seed funding from the U.S. government after a competitive application process. The University of Nebraska-Lincoln's Confucius Institute, in partnership with Xi’an Jiaotong University, is a non-profit public institute with a mission of promoting and teaching Chinese language and culture in Lincoln and the state of Nebraska. 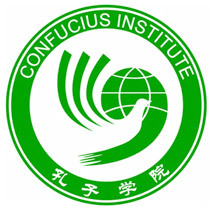 The UNL Confucius Institute was established in 2007 as the 20th Confucius Institute in the United States. Dr. Charles Wood serves as the Director of the Confucius Institute. UNL has established a partnership degree program in China, with Zhejiang University City College. These programs allow students at our partner university to study in China for two years while taking English courses from UNL lecturers, gaining experience with American pedagogies, learning about American culture, and working with our Chinese office mangers. If after two years in China these students meet all of UNL’s admissions requirements, they and many of their courses transfer to UNL. UNL has established a degree-completion program with Northwest Agricultural and Forestry University (NWAFU). This program allows NWAFU students to study in China for two years, before applying for admission to UNL, where, if they meet our requirements, they and many of their courses transfer.